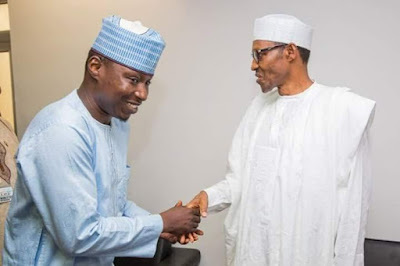 The Guild of Professional Bloggers of Nigeria (GPBN), the umbrella group of bloggers in Nigeria has condemned the arrest of an Abuja based blogger, Mr Abubakar Sidiq Usman by the EFCC. In a statement signed by its Ag President, Chris Kehinde Nwandu, on behalf of the Association, the Union asked the graft agency to immediately release the blogger . It queries the action of the graft agency which is usurping the functions of the police. According to the body, the appropriate action to be taken by the agency if aggrieved is to report the matter to the police which will then carry out an investigation. The accused will be made to write down its statement and if found culpable charged to court to defend his action. While we will not condone, the action of any member, the Union said the manner with which the agency arrested the blogger is condemnable .It does not follow global practice. It therefore calls on the graft agency to focus its attention on its core mandate which is financial and other economic related offences. It will be recalled that Mr Abubakar Sodiq Usman , publisher of www.abusidiqu.com was picked up at his Kubwa, Abuja home in the early hours of yesterday by some operatives of the EFCC and was questioned over the alleged offence which contravenes sections of the Cyber Crime Act. According to the Union, the association has set up an ethics committee within its ranks to handle issues like this. It requests any aggrieved person or organization to take full advantage of the ethics committee of the Union to address critical issues of this nature.